Profound Paving are a small team based in Canterbury who specialize in paving; with over 13 years expertise in the residential & smaller commercial paving sector. Superset Concrete Services Ltd is proud to be 100% Canterbury owned and operated family business that can take your project from concept to finish. We operate a modern fleet of excavators, trucks and light vehicles and this enables us to deal with the construction of small additions through to larger projects. Our team has many years of combined experience in all different stages of concrete installation so our customers can know that all bases are covered with a wealth of knowledge. All our staff believe that when we are working on a site, that if we treat it is as if we are working on our own home, this leads us to offering exceptional service to our clients and quality being achieved every time. Superset strives to keep up to date with the latest technology, products and trends to ensure our customers are given the most current and relevant options available to them. The health and safety of our staff, as well as our customers, is of paramount importance to us and due to this we have high standards of health and safety requirements on every site. The Digger Collective is the team you can trust on your small to large scale residential, commercial and rural earthmoving and excavation projects throughout Auckland, including the North Shore, Silverdale/Warkworth, and West Auckland. Our North Shore based earthworks fleet includes 1.8 and 5 ton mini diggers, 15 and 24 ton medium diggers, 30 and 50 tonne large diggers, articulated dump trucks, bobcat loaders, tip trucks, plus concrete cutters and breakers for minor demolition work. This equipment coupled with our skilled operators and management team is the perfect recipe to get your job done. As earthmoving contractors we offer a reliable and comprehensive service that includes: Re-shaping existing landscapes Excavation of footings, foundations & pile holes Trenching & drainage groundwork Tight access earthmoving Demolitions Delivery & spreading of construction aggregates and soils using our own trucks Excellent communication, consistency & reliability Competitive pricing Highly skilled & experienced team with focus on safety Call the office today on 09 489 9462 to find out how The Digger Collective can take the stress out of your next excavation project. Anderson Contracting is a company of concrete supplier and road construction. Anderson Contracting possesses both the technology and the know how to perform virtually any paving need that may arise. Asphalt is the most commonly used material today for parking lots, driveways and roads. We provide best service and easy maintenance. YOUR TEAM OF CONCRETE & ASPHALT SPECIALISTS! Here at Waimak we are a well bonded and close nit team, with some of our employees having worked together for 5 years! Ben Hindson, company owner/operator has over 12 years experience in this industry, successfully owning/operating Waimak Contracting Ltd for coming up 2 years, and previously spent 10 years helping other Contracting Owners manage their businesses. 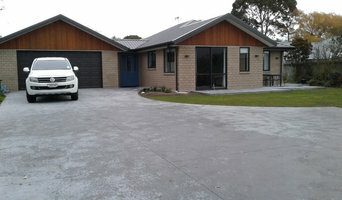 We are based in Rangiora, but offer our services to the Canterbury Region. We offer exceptional Concrete and Asphalt services using High Quality Materials. Ranging from but not limited to; Driveways, Patios, Footpaths, Carparks, Strip Drains, Kerb & Channels, Foundations & Truck and Digger Hire. We strive to ensure all work carried out is completed to a High Standard, along with ensuring Health & Safety practice is used on every job site. Our employees are trained in Health & Safety and carry a current Site Safe Passport, along with all vehicles having First Aid at hand. With years of experience in the Concrete Repair and Decorative Concrete Industry, Flash Concrete have been providing primo value. Whether it be concrete driveways, patios, shop and commercial floors, playgrounds and a range of various concrete repair and resurfacing to our residential and commercial clients. Having over 30 years in the decorative concrete industry, our friendly and creative team have a deep understanding of the local trends and is passionate as, about the use of cool new products as they come to the market. Driveway professionals can install, replace and repair concrete driveways, asphalt driveways, exposed aggregate driveways and other paved areas in various materials. Before work begins on a new or replacement driveway or other paved area, a driveway professional will assess your property’s grade, soil and drainage. They will then help you choose from a range of poured surfaces and driveway pavers, based on your home’s style and environment. Next, they will prepare the site and operate any heavy machinery needed to build the driveway or move pavers – however, construction may not be able to happen until after other contractors have finished. 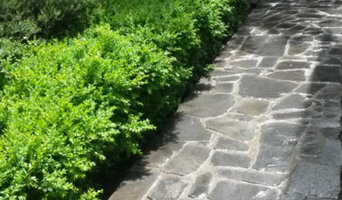 Although most driveway and paving contractors work largely with asphalt, concrete and exposed aggregate, they also are experts in materials such as gravel, clay brick and timber sleepers. You will find that many driveway professionals also offer paving services for hardscape areas such as patios or pool surrounds. Here are some related professionals and vendors to complement the work of driveways: Stone, Pavers & Concrete, Building Project Managers, Landscape Contractors & Gardeners, Cladding & Exteriors. Driveway and paving contractors can also fix cracks, chips, holes and other flaws such as mould and fading in previously laid driveways. Often, a dingy driveway can be given a new lease on life with concrete resurfacing – a more cost-effective alternative to ripping out and installing an entirely new driveway. Speak to an expert to find out more. Find a driveway and paving contractor on Houzz. Narrow your search in the Professionals section of the website to Driveways. You may also look through photos to find examples of driveways and paving that you like, then contact the paving professional or contractor who worked on them.